If you are needing a break from the grind this weekend Hotel Hotel and the township of Gunning are encouraging you to do this by getting creative. Hotel Hotel believes in the meditative benefits of creating a piece of art, and Gunning is inviting you to escape to the country and focus on that quilt you’re making or are intending to make. If you prefer to consume rather than make art, there are some great shows on this weekend. Local ska outfit, East Row Rabble are playing at Smith’s to launch their first video clip, Daniel Champagne is playing at the Polish Club, and popular acapella group with a Canberra connection, The Idea of North, is playing at The Street Theatre. And in recognition of World Refugee Week, the Canberra Theatre is presenting Rohallah, a dance theatre piece created by talented locals Chenoeh Miller and Caroline Wall, in the Courtyard Studio. When: 23 Jun–16 Jul, 10 am – 8 pm Mon-Thurs, 10 am – 10 pm Fri & Sat, 9 am – 8 pm Sun. The pop-up ice rink returns to Garema Place this weekend and it will be there for three weeks, turning Civic into a winter wonderland. 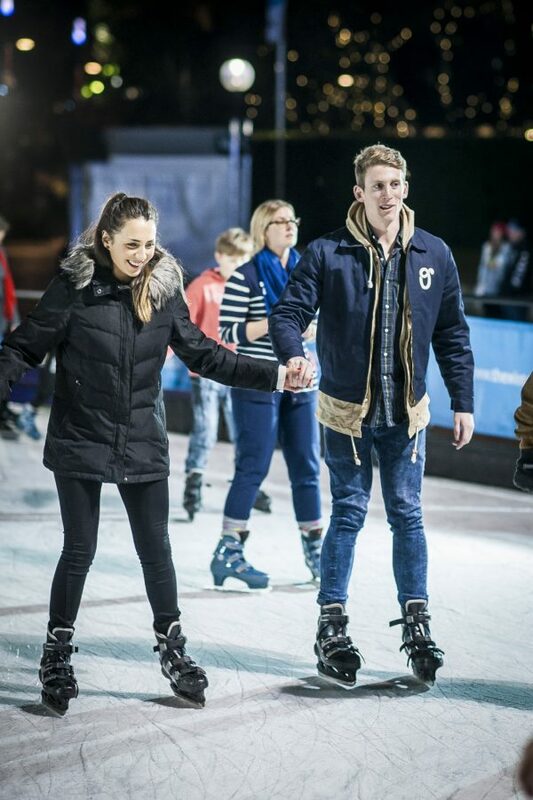 Head to the rink on a date, after work, with your family, or to catch up with friends—it is a versatile venue. This year the rink will feature ‘falling snow’, an ice slide, a giant blow-up slide, and a jumping castle. Session prices from $18 for an adult, $12 for a child (aged 8–13) and $6 for a child (aged 3–7). For more details and to buy tickets online check out the website here. 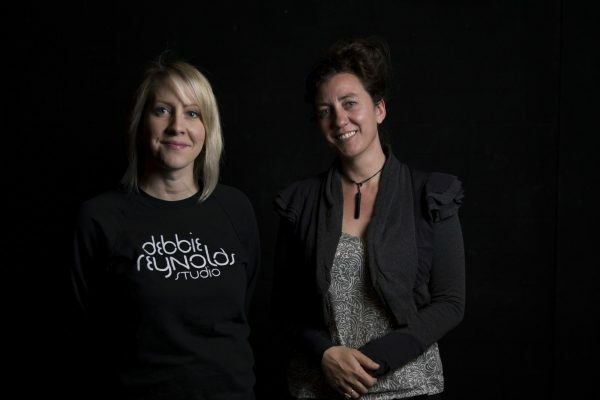 To commemorate World Refugee Week, the Canberra Theatre is presenting Rohallah, a dance theatre piece created by local artists Chenoeh Miller and Caroline Wall. Originally developed last year through the Tuggernarong Arts Centre’s Invisible Borders program, Chenoeh and Caroline worked with a group of young dancers in a week-long dance intensive. What emerged from that process is a bold experiential theatre work that follows the true story of Rohallah as he travels from his war-torn home, through several other countries to eventually arrive in Australia. The piece was first performed last October and has been further developed for this season. Chenoeh is the Artistic Director of Little Dove Theatre who recently directed the Sound and Fury party for Art Not Apart, and Caroline is the Artistic Director of Fresh Funk. Book tickets here. Take a trip over the border for a weekend of stitching; it’s the annual Gunning Patchwork Weekend. 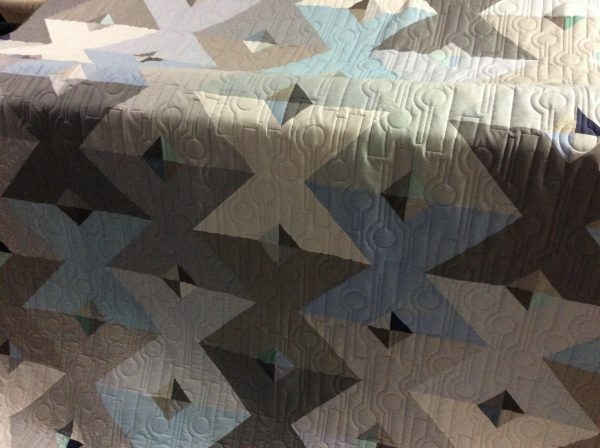 Aimed at beginners and experts alike, this event will help you finish that quilting project you’re working on, meet like-minded stitchers, and provide an opportunity to attend workshops to brush up on, or learn new skills. And while you’re in Gunning enjoy some country hospitality at a number of cafes in town, and the Lions Club market on Sunday morning which will be selling homemade cakes and slices, jams and pickles, handcrafts and antiques. For more details and to enrol into workshops check out the website here. Local seven-piece funk, soul, ska outfit, East Row Rabble, is launching its first professional film clip at Smith’s Alternative this Friday night. The clip is for the band’s single Aliens in my Brain, a song inspired by the rollercoaster of mental illness, and was made by local production houses Audio in Uproar and Mint Media. The clip focuses on the sci-fi pop references in Aliens in my Brain and features a 3D space landscape and a pair of freaky alien backup dancers. East Row Rabble always put on a great show and will be supported this Friday by Cherie Kotek. The talented singer, songwriter and guitarist Daniel Champagne is playing at The Polish Club this Saturday. Daniel began writing songs at 12, was classically trained throughout his teens and turned professional at 18 when he left school. Since then he has toured North America, UK, Europe, New Zealand and Australia, and released a number of EPs and LPs. During this time he has earned himself a solid reputation for holding crowds in his palm, dropping jaws and breaking guitars wherever he goes. Check out Daniel’s website here and buy tickets for his show here. Game 4 of the Canberra Roller Derby League is on this Saturday. The Black n Blue Belles will be playing the Red Bellied Black Hearts at the Tuggeranong’s Southern Cross Stadium. Roller derby is a fast, full-contact sport played on quad roller skates, mostly by women. The game is divided into two 30-minute halves, made up of ‘jams’ that can last up to two minutes. During a jam, the two teams skate counter-clockwise around an oval track. Points are scored by each team’s jammer, identified by the star on their helmets, when they pass the hips of the other team’s players after they have initially passed through the pack. Of course, many tactics are employed to stop the jammers from scoring points. Hotel Hotel is putting on another of their fabulous creative workshops this Sunday. In this one, artist Sally Blake will show you how meditative it can be to make repetitive patterns using pressed plant matter collected from around Canberra. And to help you get further into the zone, artist Dylan Martorell has created an original, ambient soundtrack using sounds recorded at the Botanical Gardens to accompany the workshop. These ‘Making as Meditation’ workshops are designed to explore how making things can be a form of meditation that increases creativity and well-being. The original members of this successful acapella group met when they studied together at the Canberra School of Music in the early 90s, and this weekend the group are coming home for a special ‘farewellcome’ event. The original bass of the group, Andrew Piper is moving on and Luke Thompson will be taking his place. And for these special shows, original soprano Trish Delaney-Brown will be joining tenor, Nick Begbie and alto, Naomi Crellin on stage. The first two shows have already sold out, so they are putting on an extra show Sunday afternoon. Book tickets here. If you’re looking for live music around Canberra check out The RiotACT Gig Guide (21-27 June).